While play has its place in school, children build their foundation for later learning during this period and their brains develop nearly to their fullest. Private education is of value for all year groups. Knowing the significance of the early years makes it imperative to consider your child’s schooling at this time. Below are four benefits of early years education in a private school. Don’t take class sizes as a given, public or private, make sure to ask the school about their average class size. Private school class sizes are often smaller than your average government school classes. However, the real and hidden value lies in the teacher to student ratio. Often private schools are able to employ more staff, which provides your child with more individual attention and support. Early years education is usually a child’s first significant experience of being away from home. Having more teachers available to support their needs can aid in this transition. Private schools generally have a greater likelihood of employing specialised teachers. They are often able to enlist educators who can specifically cater for gifted children or students with learning difficulties equally. During the early years, having teachers able to individually assist your child in specific areas of need is invaluable. If there is an area of particular interest for your child, make sure you follow up with schools to find out whether this is an area they facilitate. Private schools can often have more flexibility with curriculum and subject choices than government schools. This can provide you with greater options when considering things like religion, educational focus or your child’s particular needs. Private schools are more likely to have a larger choice of co-curricular activities on offer; this promotes areas of growth that your child may not have had the opportunity to explore otherwise. 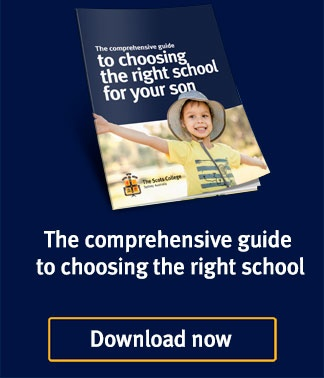 Choosing a school is more than just finding the right academic fit for your child. When researching your options be aware of school values and culture to identify where it alligns with you and your child. Sometimes a private school’s religious affiliation can mean a stronger focus on core values and spirituality, although this isn’t always the case. Not all private schools have religious ties; nonetheless it’s helpful to be aware of religious affiliations when researching early years education centres. When researching your child’s early education options, know what it is you are after from a school and understand what situation your child thrives in. Be sure to speak with the schools to fully understand what they can offer your child. Find out how your child can benefit from The Scots College Early Years Centre by downloading our prospectus.